Mark W. Curran Archives - Horror News Network - The Horror News You Need! 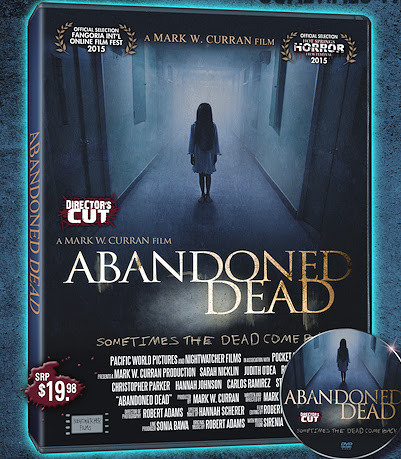 ‘Abandoned Dead’ Now Available on DVD! Horror-Suspense-Crime Noir Thriller “Abandoned Dead” starring Sarah Nicklin (Sins of Dracula), Judith O’Dea (Night of the Living Dead) and Robert Wilhelm (Transformers 3). http://www.horrornewsnetwork.net/wp-content/uploads/2016/05/HNN-logo.jpg 0 0 Lynn Sorel http://www.horrornewsnetwork.net/wp-content/uploads/2016/05/HNN-logo.jpg Lynn Sorel2016-04-07 17:47:572016-04-07 17:47:57'Abandoned Dead' Now Available on DVD!